Personal income for Americans rose by 0.5 percent in October, according to a new report from the U.S. Department of Commerce. That was better than expected, the biggest gain since the start of the year, and the 32nd monthly increase in a row. 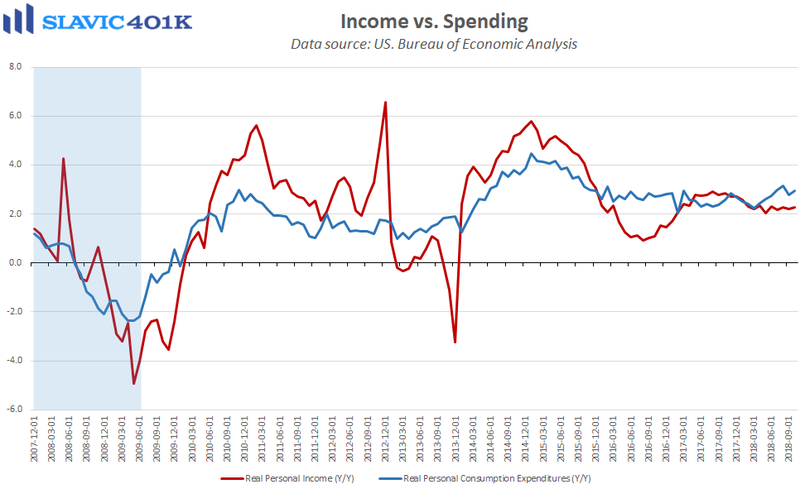 Accompanying the uptick in income was a 0.6 percent rise in personal spending, the largest since March. Although those two headline figures seem encouraging, the income gain was helped by an $11.6 billion subsidy payment to American farmers, and the jump in consumption was augmented by greater spending on electricity and gas (weather). Subsequent reports will therefore be more telling about the true health of the U.S. consumer. For now, the major unknown remains the sustainability of spending growth without an accompanying acceleration in wage gains. Such concerns are exacerbated by the recent weakness in consumer credit and continued decline in personal saving. 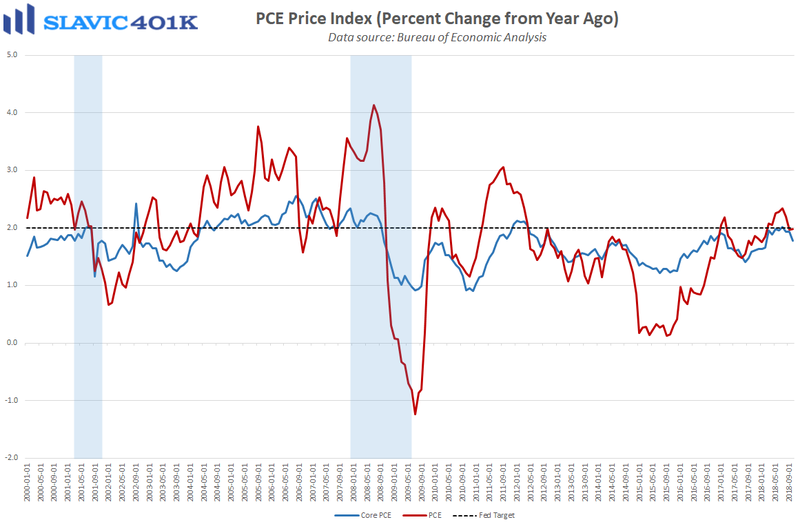 On the bright side, the core PCE price index, the Federal Reserve’s preferred measure of household inflation, rose at an annual rate of just 1.8 percent in October. That is below the 2 percent “target” and the lowest reading since February, something that investors likely hope will give monetary policymakers an excuse to tone down the hawkish rhetoric at the next FOMC meeting.